Woke up this morning to the sad news that the great blues legend B.B. King has died. B.B. King was an American blues singer, songwriter, and guitarist. The great B.B. King was born on September 16, 1925 and died on May 14, 2015. B.B. 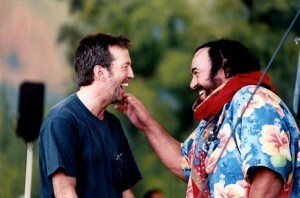 King joined Pavarotti at the 1999 Pavarotti & Friends concert in Modena, Italy. 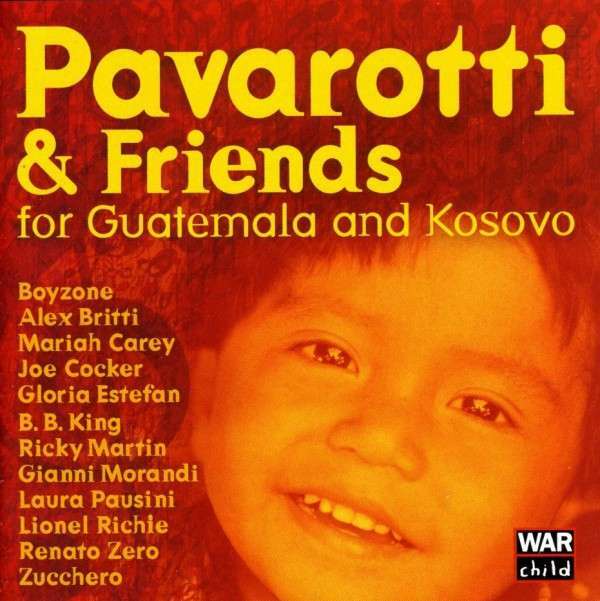 The concert, entitled “Pavarotti & friends for the children of Guatemala and Kosovo”, is available on Decca CD and DVD. Enjoy these songs with the great B.B. King! RIP, grande, grande B.B. King! This post was first published 15-05-2015. Last revised 15-05-2015. One of the best things about Christmas is to spend time with family and friends. And there’s no Christmas without our friend Pavarotti! And speaking of friends: In a previous Christmas post I said that Pavarotti performed many songs that are Christmas songs or could be associated with Christmas on his many Pavarotti & Friends concerts. One song that wasn’t included in that post was “Holy Mother”, a duet Pavarotti sang with Eric Clapton. I believe that many will associate the lyrics of this song to Christmas or to be in line with the spirit of Christmas. Pavarotti and Clapton sang this song on the Pavarotti and Friends concert in 1996 (for War Child) and reprised it on the 2003 concert (Sos Iraq). Below are videos from both concerts. Both concerts were broadcasted on TV, but to this day only the 1996 concert has been issued on CD and DVD (on Decca). However, many clips from the 2003 concert is out there on YouTube. This post was originally published 26-11-2013. Last revision 26-11-2013. 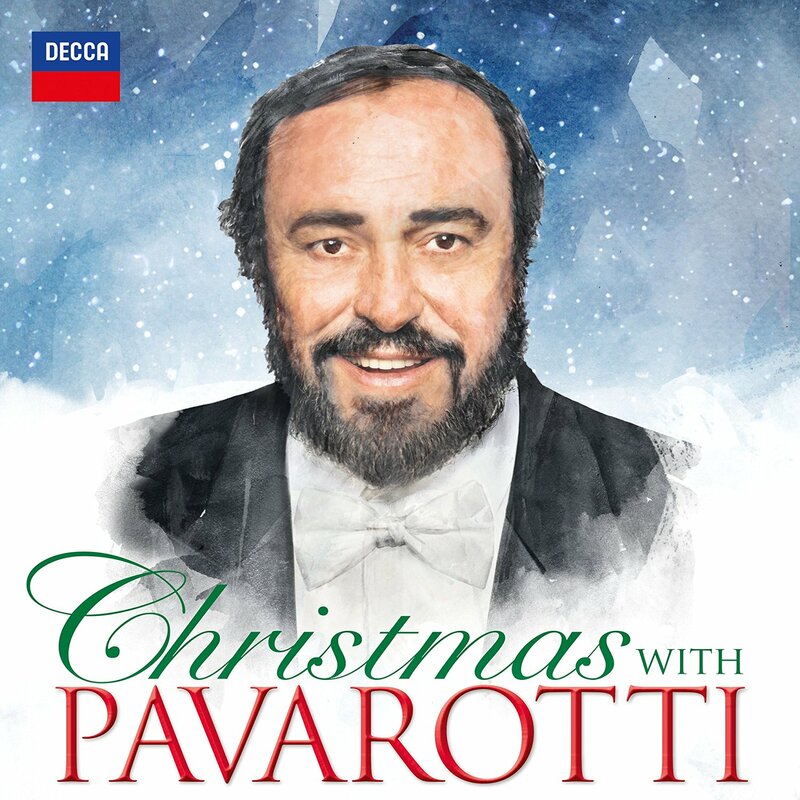 Posted in Christmas with Pavarotti, Luciano Pavarotti, Pavarotti, Pavarotti & friends, Pavarotti's performances, Pavarotti's recordings on November 26, 2013 by Odd Pavarotti. Lou Reed is dead. The American rock musician and songwriter died October 27, 2013. Lewis Allan “Lou” Reed was born on March 2, 1942 and was guitarist, vocalist, and songwriter in The Velvet Underground before he went solo. 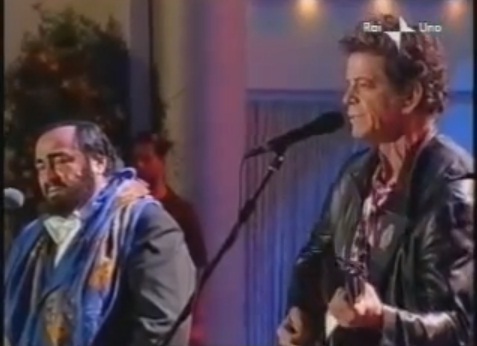 Lou Reed sang together with Luciano Pavarotti at one of his Pavarotti & Friends concerts in Modena, Italy. Pavarotti joined Lou Reed when he sang his song “Perfect day“ at the Pavarotti & Friends for Angola concert on May 28, 2002. 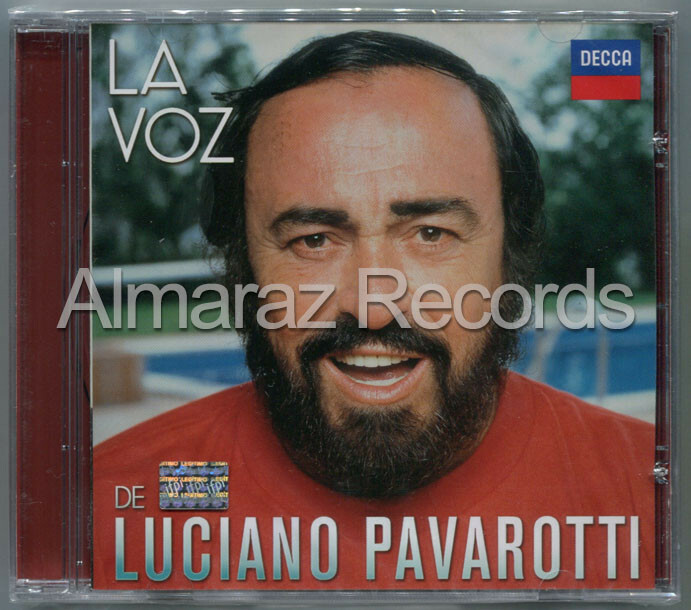 The 2002 Pavarotti & Friends concert was broadcasted on TV, but has not to this day been issued on CD or DVD. However, many clips from that concert is out there on YouTube. This post was originally published 28-10-2013. Last revision 28-10-2013. Posted in Luciano Pavarotti, Pavarotti, Pavarotti & friends, Pavarotti's performances on October 28, 2013 by Odd Pavarotti.